I can't abstain from much of anything for 8 days, but a little boy in Haiti went 8 days with nothing through sheer force of will. Our little corner of the world is not standing quietly by during Haiti's most dire catastrophe, and the new kid (aka gallery) on the block is lending a hand. 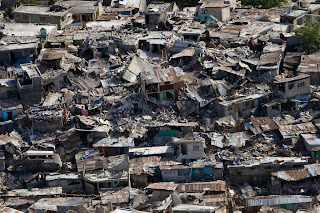 Join the Fernando Luis Alvarez Gallery at 96 Bedford Street (just across from Remo's) for "Helping Haiti." Held from 5:30pm to 10:30pm this Thursday the 21st, the event will benefit "Hope for Haiti," an established group devoted to improving the lives of Haiti's citizens for 20 years. Admission of $25 (cash or check only) gets you entry into a Contemporary Art and Music event featuring a silent auction, wine, cheese, appetizers and "two awesome DJs." Charity and cheese - why would you not go? Contact Jason Bone, FloorFX at 203-353-9657 or 860-250-0771 for more information.